Our New Breezer Roll Bar Top Skin for 66-77 Classic Ford Broncos with Family Style Interior Roll Bars. These Breezer Roll Bar Top Skins are made of high-quality, mesh vinyl that will allow the air to flow freely through the top whild still providing shade for you and your riders. This mesh offers a much more open feeling as opposed to traditional Roll Bar Top skins. This top is made exclusively for Tom's Bronco Parts using high quality, marine grade vinyl to provide excellent durability. 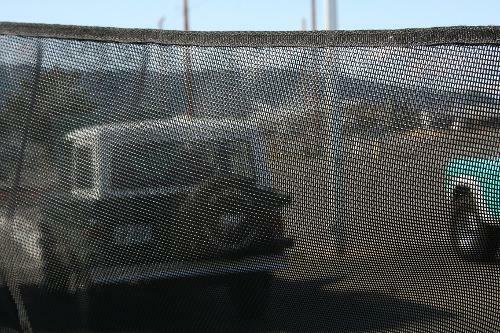 Provides a complete sun shade over the full top of the Bronco. 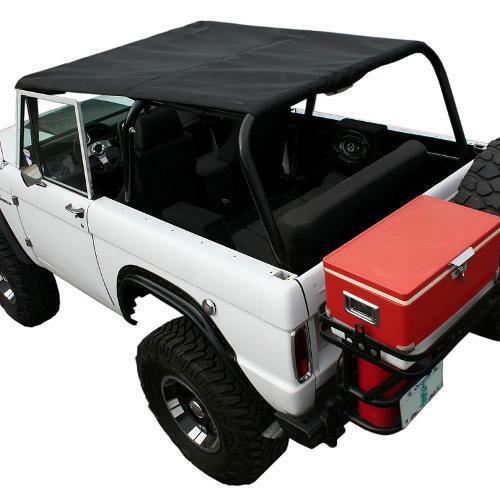 To use this Family Style breezer skin on your Early Bronco, your interior bar must be a family 4, 6, or 8 point bar with the rear cross bar by the tailgate. Covers the front and rear seats. Works with our standard Roll Bar Top kit hardware.